in Hong Kong, which presents his native South American cuisine through the exploration of the range of ingredients sourced from the contours and terriors of the lengthy strip where the Andes lies. There’s a fun, laid back vibe to the restaurant, and the interior design elements such as a hanging wooden installation mimic the contours of the country and a forest-themed wall artwork that entices guests into the world of Peruvian dining. 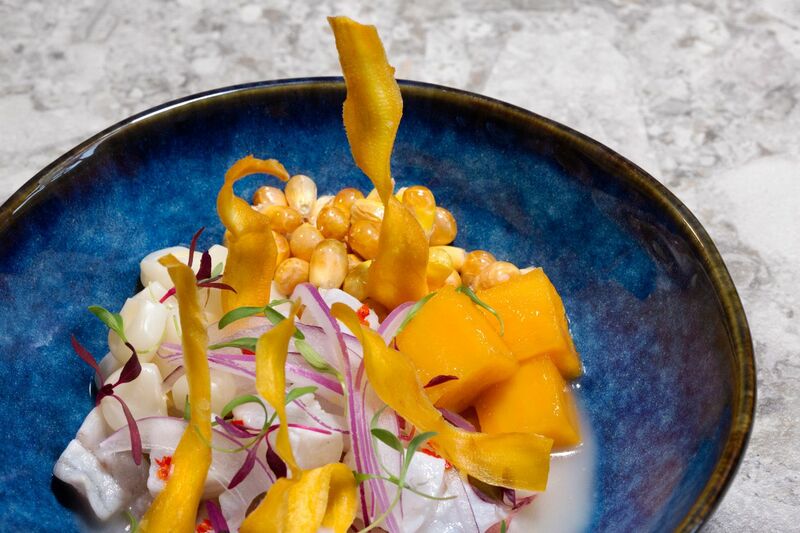 Less structured and more casual in format, the menu of sharing plates is a winning concept, offering a fine sample of Peruvian classics such as ceviches. While the menu is extensively seafood-oriented, the restaurant also offers a wide selection of meats and vegetarian options. The dessert selection may be small, but guests can also opt for an alternative sweet finish by way of one of the wide range of cocktails using Peruvian ingredients from herbs to spices to artisanal spirits and liqueurs that are rarely found in the city. While the main dining area offers a glimpse of the food prep action from the open kitchen, the bar area is more spacious and offers more privacy for an intimate dining experience.